In order to offer relevant products and services, your MSP company must keep abreast of the latest trends and technologies in use. This allows you to offer your new and potential clients competitive packages. One such way to improve your company and workforce is to implement a vibrant training strategy. Training may be conducted in different ways and in different areas. IT professionals are being more and more strategic and selective about the work opportunities they accept. They look for companies that can aid them in growing and developing professionally. 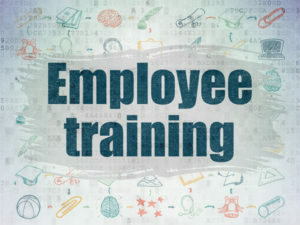 When your company values employee training, your staff is equipped with new skills and competencies to allow them to diversify their skillsets and workloads and stand a better chance for promotions. Training can help your team to achieve greater productivity and success. Your sales and marketing team can be more effective in reaching potential clients and converting leads into sales. Your helpdesk staff can deliver a more satisfactory customer experience and offer better solutions to your clients. Your IT support team members can broaden their areas of specialization and develop new and innovative solutions. Employees who are growing in their career and developing new skills are more likely to enjoy greater motivation and job satisfaction. When your MSP company invests in staff training, the employees benefit and so does your company. A better-skilled workforce is more productive, more innovative, and delivers greater value to the customer. As each team member excels in their work, your company also establishes itself as a reputable IT company delivering professional and quality products and services. This can lead to better reviews, more referrals, and an increase in your business revenue. A company that develops its employees is more attractive to job seekers. It’s also more likely to witness greater staff retention. By investing in your team and offering them opportunities to use their new skills and progress professionally, you can retain a team you grow with for years to come. There are, therefore, real returns on investing in staff training, both in the short-term and in the long-term. The training programs that your company invests in must be strategically chosen. You must consider the budget, the ROI, the current skillsets available and deficient, and most importantly, the potential value to the customer. A skills audit is a good place to start. What are the skills you currently have and what is lacking? There is a lot of training on offer—from cybersecurity to marketing, to management training. It’s also important to keep up with what other technology companies are doing as well. Training may be conducted in-house, using external administers, as part of orientation, in an individual or group setting, as well as on or off-site. Once training is complete, efforts must be made to incorporate the training materials into the work and to assess the effectiveness of the training. You may want to consider adding a mentorship and shadowing component. An effective training strategy allows your MSP company to be somewhere where employees want to work. You are more likely to attract hardworking and focused individuals who want to do and be more career-wise. Your training strategy can also help you position yourselves as a company that has a highly skilled and competent team delivering superior value to clients. It is worth planning how your business can commit to providing ongoing, relevant, and quality training to your staff.